Competent digital-to-analog converter designs of nowadays are far easier to accomplish than any point in the audio industry’s history, primarily because of the level of perfection that comes from decades of collective and progressive exercise in refinements. Furthermore, the modern world’s continuous drift toward higher levels of communications and information-sharing is taking us to the point where competing companies will know everything there is to know about relevant technologies, and only those in possession of the leading-edge technological insights will be able to offer products that are of originality and uniqueness. 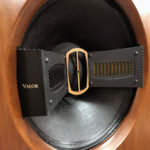 Joseph’s original DAC TD 3.0n concept found its expression back in 2005, when he founded ComponentPlus USA with Victor Comerchero, the company’s Director of Marketing, offering design upgrade to audiophiles. The company’s initially success became the cornerstone for launching Joseph’s first D/A converter, the solid-state DAC-2, which was released under the company’s Audio Horizons brand. Then, Joseph and Victor consulted with end-users to fine tune the appeal and performance of DAC-2 for audiophile criteria. Today, this very same D/A converter continues to be available, now in its latest iteration, dubbed DAC-2a, and retails for only $1,295. The DAC TD 3.0n is an upper model of DAC-2a, and is a tube D/A converter. Among a host of novel measures that Joseph devised for exploiting the best performance possible from the TD 3.0 were the incorporation of four 6922/6DJ8/ECC88 triode tubes in conjunction with the Burr Brown OPA627 op-amps for the input and output stages, appointment of an 8,800 microfarad low ESR capacitor bank for the analog section to draw in producing demanding musical transients, inclusion of a 12k microfarad capacitor bank for DC filament stability, separate provision of DC filament supply for each channel, provision of thirteen high voltage regulation stages for ripple control, etc. At the heart of the DAC TD 3.0n is an 128-times oversampling digital-to-analog converter chip that is among the most advanced available today: the Asahi Kasei AK4396. Manufactured by AKM Semiconductor, a branch of Asahi Kasei Microsystems, the AK4396 is dubbed by AKM as a “120dB 192kHz 24-Bit Advanced Multi-Bit DAC with PCM/DSD input.” This chip incorporates an internal current/voltage conversion system that supposedly accords a performance advantage surpassing other current-output chips. The TD 3.0n carried a retail price of $2,250, and the review sample was further enhanced by a $250 option of extra measure in circuit isolation and shielding, plus Hovland tube capacitor upgrade. In addition, while a stock TD 3.0 is equipped with Electro-Harmonix 6922 tubes, the review unit was fitted with the additional, $260 upgrade option of four Siemens E88CC low noise tubes. Despite the fact that the Audio Horizons TD 3.0n was now $510 costlier than a standard TD 3.0, at the total price of $2,751, the unit remains a far lower-cost product from what had been gracing my system. The fact that several sub-$3,000 DACs of various marques were also auditioned prior to and during the Audio Horizons auditioning and did not sustain my interest the way the TD 3.0n did, both disappointed me immensely while reaffirming the caliber of Joseph Chow’s design. The TD 3.0n was also an exhibition in fundamental design clearly. 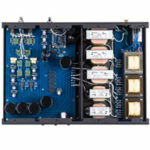 For in optimal applications of transformers and parts in tube DACs, I know of no competition to those from Audio Note, most notably in the $35k DAC5 Special that has been my reference since 2003, so Joseph Chow’s bestowal of four isolated transformers, one for the power supply of each channel in the digital and analog stage, plus an onboard AC line filter, was a most welcomed assurance in design diligence and performance. While Joseph claimed to have bridged the performance characteristics of both solid-state and tube designs in his Audio Horizons TD 3.0n, a comparison between the TD 3.0n and other $3,000+ DACs revealed itself as an extraordinary exercise in a tube-based implementation with minute, distinct warmth in tonality, and a textural intensity softer than those of solid-state DACs. Hence, the spectral behavior of this affordable tube DAC was surprisingly controlled in the midrange, offering a considerably resolving tonality in that region and not the veiling effect of a few other higher-priced tube DACs. The question becomes one of hind- and foresight, of whether one conforms to a budget in the creation of a DAC and allocates most funds into acquiring a prestigious chipset and surrounding it with complimentary circuit, or if he should do what Audio Note does with increased cost consideration, namely simmering the sonics of more established and trusted chipset with choice tubes, and then unlocking its sonics into massive dynamics and scales with the patent-pending application of exclusive transformers and parts. With the heavy fortification of transformer and power regulations, the TD 3.0n served large orchestral passages with appreciable dynamic composure, although spatial definition of instruments was more complimentary of a romanticism vantage point than the audio ideal of a photographic depiction of the orchestra. 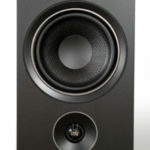 tonality not only enhanced the TD 3.0n’s competence, the speakers made the DAC sound far more expensive. One of the more noteworthy dispositions that the Audio Horizons TD 3.0n displayed was a conduciveness toward quality CD transports, for while I encountered unremarkable results in my attempt to drive the DAC with a DVD player, which ended in utter sonic mediocrity, I fared rather remarkably with transports of superlative constructs, such as the Philips CDM Pro mechanism-equipped Audio Note CDT-Three, and the $9,380 Oracle CD2500. In this context, the TD 3.0n was a thoroughbred audiophile product, one that warrants thoughtful caring, despite its modest cost of ownership. Audio Note’s $360-per-meter 15-strand silver interconnect, the AN-V, propelled the TD 3.0n to greater heights in connection to the Accustic Arts preamplifier, infusing greater expansiveness in the system’s sonic landscape, as well as a higher level of dynamics. Furthermore, margin of improvement obtained on this standard-size DAC via Furutech’s $1,120, 1.2-meter XLR connections was considerably more appreciable than that from other sub-$3k DACs. This manifestation of increased energy provided the crucial tonal substance that highlighted a classical piano’s reverberating tones. For a meager $2,751, the Audio Horizons TD 3.0n was the only DAC thus far amassing competent caliber to impress even the audiophile with $10k+ CD transport. Among the other budget DACs that were ushered in and out of my door, the TD 3.0n was the sole sub-$3,000 DAC creating a sonic palette embedded with consistent showcases of dimensionality, width of venue, and above all, a tonal vastness the belied its modest cost. 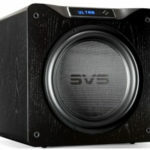 Audio is serious with the wealthy audiophile and his expensive gears, but it is always fun for audiophiles of all income levels to stumble upon something sonically extraordinary and akin to cheap oil-change, cost-wise. Knowing many readers’ preference for tube equipment is for their enhanced tonal portrayal, the TD 3.0n then, in this aspect, becomes a rogue member in the beautiful tradition upheld by the tube camp. For readers wanting to break away from the conventional tube ideals, who are also receptive toward a budget tube DAC that is less editorializing on music and are building toward a truer-sounding system, the TD 3.0n is a gem. When we conceived and designed the TD 3.0, we had a clear design goal—to produce a superb audiophile DAC at an affordable price, one that was within the budget of most audiophiles, but that would sonically compare favorably to DAC’s costing considerably more and that would mate well even when paired with transports costing many times more than it does. We are gratified that the reviewer has recognized the TD 3.0’s product design goals and acknowledged their achievement in his review. One additional note: Subsequent to this review sample being sent to Dagogo, we have made further refinements to the TD 3.0n. For example, we no longer use the Hovland caps, but use a larger and more expensive proprietary capacitor that we think improves the performance of the TD 3.0n even further in almost all sonic parameters. Finally, we intended to make a DAC that doesn’t cost much but measured by value and performance, it is a gem of an audiophile product. We thank Constantine Soo for confirming that we accomplished what we set out to do.